All of our teachers are using the Class DOJO app this year to share student information with parents. 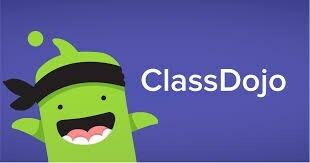 Parents need to download Class DOJO on their smart phone and then link to your child's teacher(s). The easiest way to link is to use the provided code from each teacher. So, please contact them if you need this code. If you have more than 1 student at West Yadkin, you can begin the app with one child. Then add the remaining children in to your account. You can have 1 account with several children on it. You do not have to have a separate account for each. We attached some basic information!